Dr. Joti Samra is an innovator in the area of psychological health and wellness. She is a leader in the conceptualization and communication of psychological health issues and the creation of related treatment manuals, clinical tools, and training resources. Dr. Samra is a passionate advocate for organizational change. Her research catalyzes fundamental improvements in the psychological health and safety of work environments throughout Canada. She presents her work extensively at the invitation of organizations across Canada and the United States. Dr. Samra is a frequent media commentator and writes prolifically for a wide range of scholarly, professional, and popular publications. Dr. Samra is a featured clinical expert in all three seasons of the Animal Planet docu-reality series Confessions: Animal Hoarding, developed by the producers of the critically acclaimed A & E series Intervention. 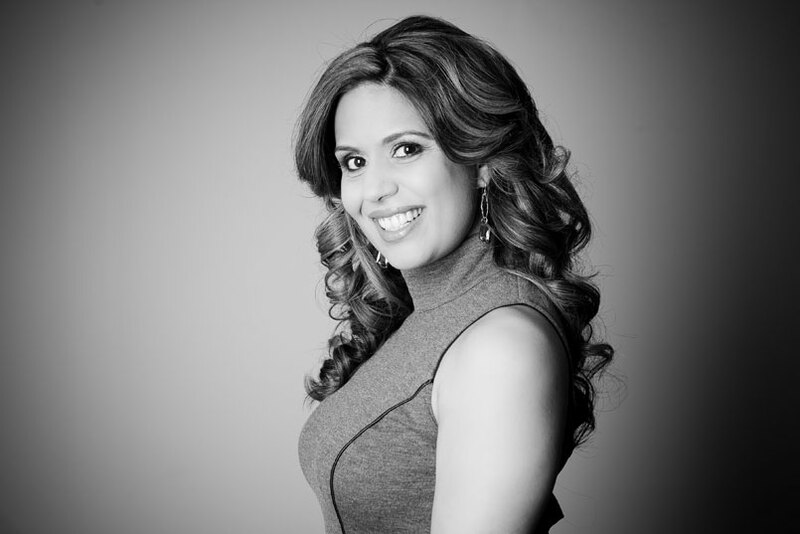 Dr. Samra is a host and financial expert in Million Dollar Neighbourhood, a docu-reality series produced by Force Four Entertainment for OWN:Oprah Winfrey Network and a psychological consultant for CityTV’s The Bachelor Canada. She also writes a weekly“Ask a Health Expert” column for The Globe and Mail. The second season of Million Dollar Neighbourhood which was filmed in Bowmanville, Ontario, aired Sunday January 6th. I had the pleasure to get to know Dr. Joti Samra at my Anniversary Charity Event last February and I can honestly tell you that she is such a sweet person. She is a great listener, genuine, confident, funny and has a strong business sense. Joti is a person that you can talk with and she makes you feel so comfortable, like you’ve known each other for years. I have seen her work and I have so much respect for what she does, and she does it so well. Since I believe beauty really starts from within, I thought it would be a perfect fit to feature Dr. Samra who lives and breathes it every single day. BB411~ When did you know you wanted to go into TV? JS~ Funny, people ask that all the time and it wasn’t something that was intentional or planned, it kind of just happened. I’m a clinical psychologist and a number of years ago (6 or 7), I was doing a number of national research projects and started getting contacted by Media sources to comment on the research I was doing. As I started, I realized how much I loved and enjoyed this. I was able to target so many people in the media. I was then contacted a few years back to be a Dr. on “Confessions Animal Hoarding”, which was filmed in the US. Then I was contacted a year and a half ago for the show on OWN. Its funny I use to joke and say to all my friends that I would love to have my own tv show, I just need to meet Oprah once and convince her to give me a tv show. BB411~ When you were growing up did you know you wanted to be in the career you are today? JS~ I use to always say to my parents I wanted to be a doctor, but hated dirty things and would pass out at the sight of blood. Growing up I would have all my friends confide in me and come to me with their problems. I was then a peer counsellor and did volunteer work starting at a young age in a senior citizen’s home. I knew in high school that traditional medicine wasn’t what I was going to do (mostly because of the blood factor). I just gravitated to being a psychologist (which took me 11 years to get to the point of where I wanted to be). BB411~ Who’s the one person (role model) you haven’t met that you would like to sit down and have lunch with and why? JS~ The one person and this is even before any of what I do, is truly Oprah. I would have said that even years before I started this. For so many reasons, she’s a woman who fought all the odds against her. Here’s a woman who had adversity in her background, a minority woman in this day and age. I still notice it, it’s an industry that’s still male and caucasian dominated. She has done so much to help people, she essentially is a psychologist. She helps people feel comfortable, she navigates them to tell their story in a way that helps other people. She has made such a tremendous impact on so many people. 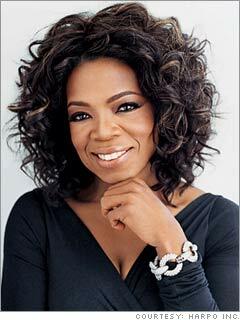 I have a lot of respect for what Oprah has done (especially for issues related to woman). BB411~ If you weren’t a Doctor (Host) and you could be anything in the world what would it be? JS~ I’d say an entertainer, singer/dancer (laughs). I Love Beyoncé ! That would be my dream to be this big pop star entertaining everyone. Unfortunately I have zero talent when it comes to those areas. BB411~What does it mean to you to help people? JS~ I feel very fortunate to be in a position to help people. I feel very humbled with people who are able to share their life stories with me. That feeling of being able to help someone when they’re at their worst moment, you can’t even put that into words. My patients will say “you are the 1st person I have told this to”. They will be in their 30’s, 40’s, 50’s or 60’s and they’re sharing things with me that they have never told another human being. They can share without judgement. It’s so therapeutic for all of us, we want to tell our story and not be judged for it and accepted for it. I get to do that through my work and when people tell me that I’ve made a huge difference in their lives and they’ve been able to work through things. BB411~ Are you involved in any charities, are any close to your heart? JS~ The causes I am involved in are mental health related. I have had to take a pause since moving to Toronto but I was on 6 different committees, all for things that promote mental health. I have been heavily involved with The Canadian Mental Health Association and National quality institute. My passion is in various mental health, groups and organizations that are really reducing stigma about mental health issues and how people are coping with it. BB411~ Are you involved in any Volunteer work? JS~ I’m the clinical expert spokesperson for Bell’s “Let’s Talk” campaign. JS~ I guess love! Some days I work hard (I work a ton) and I know a lot of my friends look at my life and are living totally different lifestyles (married and kids) and go “how do you work all the hours that you do”. But I just love making a difference. When I’ve felt like I’ve touched people’s lives and left an impact, it has a reach that’s much greater whether its minutes, days, weeks that I’ve been with them~ that to me is why I keep on doing it. BB411~What does beauty mean to you? JS~ Beauty is being a good , positive, happy person. You can take someone who say in a photograph looks like a beautiful person, but if they’re mean, negative, hateful or egotistical~ to me it goes out the window. There’s nothing about that person that looks attractive. You can take someone who isn’t say the norm (quote/unquote) super-attractive person superficially and if they have a fantastic personality, happy, positive and a caring person it makes a world of difference. BB411~If you could tell your younger self something you have learned and know now what would it be? JS~ Trust your insides way more. Don’t get caught up in worrying what other people are going to think or say or all those insecurities. Just do what you need to do to make yourself happy and what you know in your heart is the right thing. BB411~ Have you always been in love with fashion and beauty? JS~ I’ve always been a girly girl. Growing up my sisters were more tomboy’s and you could see in pictures that I was always dressed up. I’d have a little dress on, my hair done and a purse in my hand (laughs~ at 3 years old). Now I get to do it for a living, it feels like I’m getting married everyday. Over the years as I get older, I feel I’m getting more and more comfortable in my own style. Being a young female I had people not taking me serious. They would say are you actually a doctor or do you just play one on tv. Ten years ago I didn’t feel as comfortable as I do today, I’m more comfortable in my own skin. BB411 ~3 beauty products you carry with you always? JS~ I always have to have a lipstick or lip gloss (Vasanti ~”Baltic” & “Coral“~they are great for different ethnic backgrounds), Bobbi Brown’s corrector/concealer (with being darker skin I have genetically darker circles, no matter how much I sleep). Finding one that works really well has been a challenge for me. Last is perfume, I feel totally naked without perfume. I love Pink Sugar, it’s sweet, girly and feminine. Oh and I also love Dior Highlighter and Skin Shimmer Powder. BB411~#1 beauty product you could not live without? JS~ Concealer! I could not live without it. The other thing I could not live without that I started using this past year is the Clarisonic Mia face brush. When I’m filming I have so much makeup on me and I was a little skeptical thinking is this a gimmicky thing. I love it, it’s so good for your skin and takes all the makeup out. I will do experiments and wash my face as good as I can and then use the Clarisonic and there’s still make up coming out. You should get one. I also love St Ives Apricot scrub. BB411~ Yes the scrub smells so good. The Clarisonic also is definitely a Must Have, I have interviewed others and it too is a favourite of many. JS~ I have really sensitive skin (Eczema) so I have to be careful what I use , but the products I love are Avene. I use their eye makeup remover, cleanser and toner. And I also love a Vancouver based moisturizer called Linacare, I use the body one and use it on my face. BB411 ~You have great hair, what do you use as your go to products? JS~ Jessica Viel has been doing my hair for this past year but since moving to Toronto I have had to find someone temporary. But with Jessica’s consultations I was able to get the colors. I have big hair which everyone recognizes, it’s a big part of my personality~ I’m a Leo. I have to really moisturize my hair cause it’s so thick. I use to use and love Moroccan Oil, but now that I’m on all Loreal products Jessica got me onto the Mythic Oil. I use their purple shampoo to make sure my streaks don’t go brassy. When I’m not working and on set I wash, deep condition and blowdry my hair and put in a ton of Mythic Oil, then curl with a wand curler. It goes crazy if I just leave it, but my hair holds curl very well. BB411~ Have you ever had short hair? JS~ No ever since I was little my Mom would never let me cut my hair. In grade 7 I was crying wanting my hair cut cause my sisters and Mom were able to and my Mom said that my hair was so nice she wouldn’t let me cut it. But because I was crying they eventually let me and I regretted it as it didn’t suit me. Had a few other times a shorter style but not as short as yours. BB411~ For my new followers~ Jessica Viel (Joti’s Stylist) was the talented, beautiful stylist that cut my hair when I donated it last year to Locks of Love at my charity event in February. BB411~How do you stay fit? JS~ I love Pilates and dance (Burlesque and Stiletto Fit). In Vancouver I go to a studio call Exhale in Yaletown. I don’t like regular gym workouts, I get bored. It’s a good stress release and its fun when your dancing. JS~ Definitely “Ponds” moisturizing cream reminds me of my grandma and “Charlie” perfume my mom use to wear. And my dad (who has passed away) use to wear “Old Spice”. BB411~Do you have a best kept beauty secret that has been passed down to you (say from your Mother or Grandmother)? JS~ My Mom is low maintenance, but my grandma (mom’s mom) would always be dressed up, she’d always have lipstick on and I love lipstick. BB411~Fun fact that your fans may not know about you? JS~ I thought I didn’t like heights and then a year ago I did a 60 second free fall (skydive) from 14,000 feet without any thought. Oh one more thing, I have a big tattoo of a Buddha sitting in a Lotus flower, its got my favourite saying from Thich Nhat Hanh ~ (not many people know, I hid it from my Mom for the longest time). She accidentally busted me over the last year. The tattoo is on my right hip (no one knows that) My Mom only saw a little tiny part, I never showed her all of it and I got in trouble (laughs). BB411~ What is the saying on your tattoo? 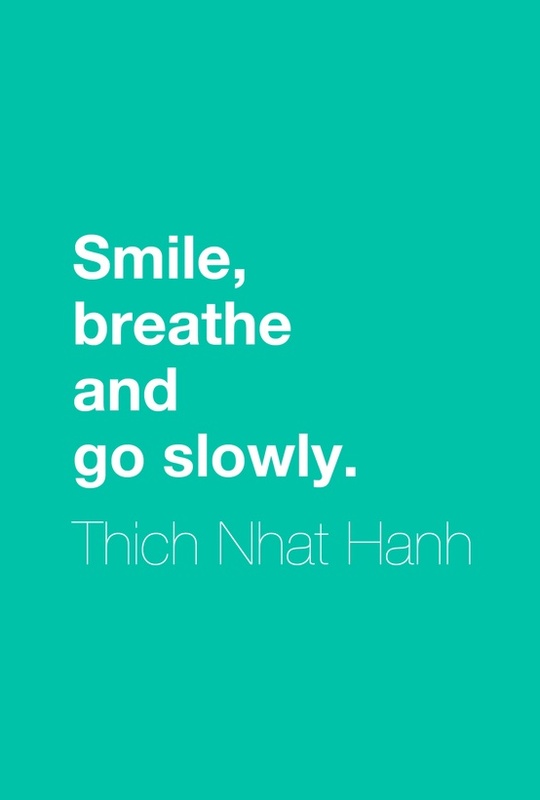 JS~ Smile, breathe and go slowly. I got it during a very difficult time in my life. I think if we can bring that to any part of our life that’s difficult , you go through the motions. I tell patients to do this all the time, even when you’re not feeling well you want to do the opposite of what your mood is. Smile! Breathe~ we go-go go and we don’t stop to actually really truly take a breath. Go slowly ~when we’re stressed, we act without thinking. When we slow that down, it makes a world of difference. I wanted the tattoo to be private so my day-to-day life you wouldn’t see it. BB411~ Who would you say is the coolest person you’ve met? JS~ Coolest person I’ve met is Dr Wayne Dyer, he wrote the book “The Power Of Intention” and you have to read it. The law of attraction, putting out there what we want and then it comes to you. I so believe that! He was giving a talk and he came up to me to talk to me as I was on my way to watch him speak. I knew I was going to meet him! Then months later I ended up running into him in Hawaii and I again knew I was going to see him when I went out there. He remembered me and we started talking. So if New York is where you picture, I say you just keep putting it out to the world. BB411~ For those of you that have been following the blog and read my tweets on twitter, you know that I am drawn to New York and feel a connection with the city. I feel I am destined to either live there or visit on a regular basis. Dr. Samra references it above as we talked about Serendipitous moments. 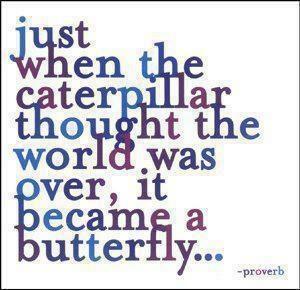 BB411~ Where do you see yourself in the next year, 5 years and 10 years? JS~ Having my own show! I want to thank Dr. Joti Samra for a great interview and allowing Beauty Buzz 411 to share her personal stories and experiences with all of you. It truly was inspiring and therapeutic all in one. She makes you feel so comfortable, like sitting down for drinks with a girlfriend. She is a beautiful person inside and out and I can’t wait to see all her success soar. This girl is going places~Trust me! To Keep up to date on the many adventures this power house has going on, check out her Website , Facebook, Twitter, Linkedin, You Tube and don’t forget to tune in to see her on Million Dollar Neighbourhood on OWN! Remember to say that you heard it first from BeautyBuzz411!